“As I started working with music, the type of creatives I was working with started growing. My team grew from being just a music label. It’s like I’m uniting all these creatives. I’m just putting them in this big pot.” —Ebonie “Pabino” Matthews of United South. Photos by Collin Richie. I’ve been chatting with Ebonie “Pabino” Matthews less than 30 minutes, and she’s already gotten three calls. It’s a Wednesday afternoon, and I’m interviewing the busy 31-year-old at her downtown office. She has a full schedule today of meetings and errands. She’s just returned from The Home Depot to pick up paint to revamp some of the rooms in the 5,000-square-foot space on the second floor of this Third Street building. Matthews is the CEO of music label and creative collective United South. Aside from paint chips and magazine interviews, her days consist of meetings with artists, planning live shows, brand strategy, scheduling recording sessions and overseeing various film, art and music projects and events. Unlike the traditional suit and tie you might expect from a music exec, Matthews is dressed today in Aztec printed joggers, a fanny pack, sneakers and a hoodie sporting the name of local band Made Groceries. Her laid-back, urban style is an accurate reflection of her business approach: Create your own blueprint. The United South headquarters houses 10 rooms including a video production studio, recording studio, merchandise shop, art studio and a conference room. Throughout the week, the United South space is almost always occupied, whether it’s artists recording music in the studio, painting in a light-filled room or meeting with Matthews. In the evenings, local artists such as DJ FTK and DJ K-Strikez host events on the rooftop patio with music, games and drinks. The casual events serve as a who’s-who of local creatives, entrepreneurs, influencers and party-goers. This is what Matthews envisioned. 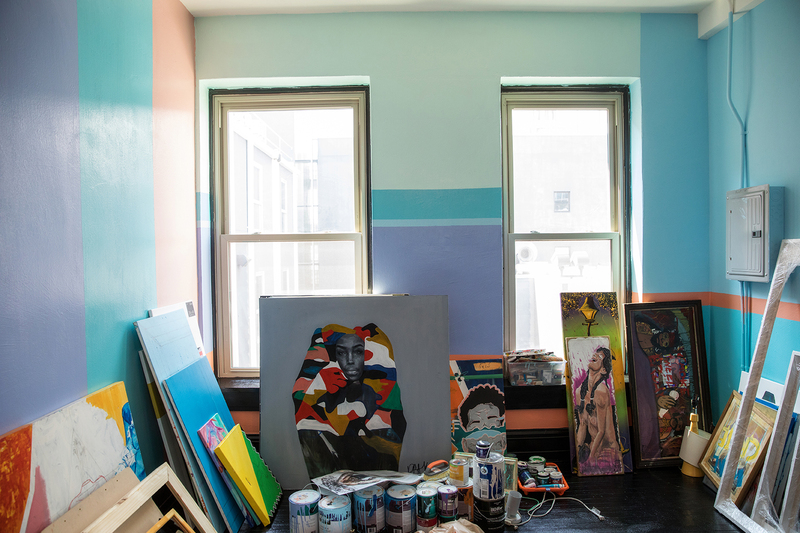 After touring Roc Nation’s headquarters in New York in 2015, she was inspired to create her own space that catered to local artists and musicians’ needs. In 2005, while she was in college, Matthews was the manager of the LSU women’s basketball team. After graduating from LSU in 2010, she changed her focus from basketball to music. At the time, her cousin was a rapper and needed management, so Matthews stepped up to represent him. Since then, she became the co-founder of Baton Rouge music label Small World—in which she is still involved—and started United South in 2017. United South manages a photographer, a chef, painters and musicians such as R&B artist Luna Loxx and rapper Michael Armstead. Matthews says she develops her clients through word of mouth and a trustworthy reputation. Going back to her basketball roots, she thinks of herself as a coach and her clients as her team. As a collective, she aims to have a strong bracket of artists she can help excel and become self-sufficient. As United South continues to grow, Matthews says she wants to offer her studio not only to her team, but to young makers in need of a safe space to create. And so she plans to continue cultivating the creative scene in Baton Rouge. 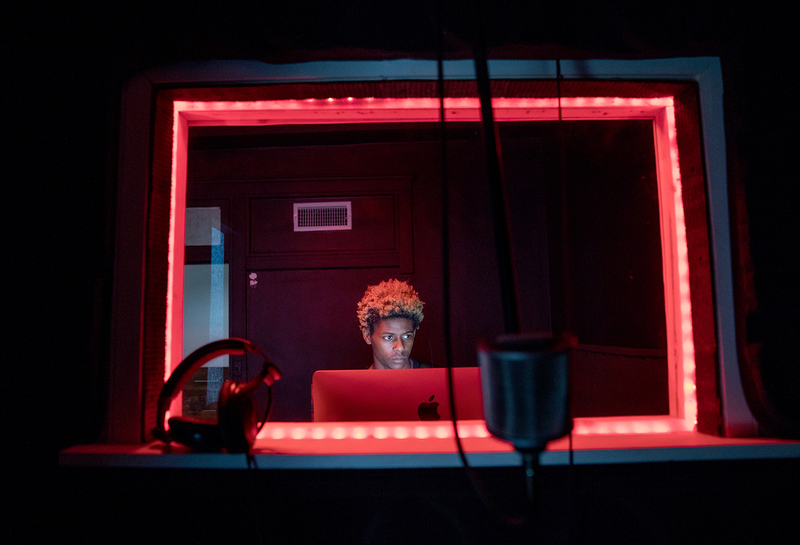 Instead of having outside music managers and officials discover artists and pull them from Louisiana, Matthews wants to give artists a reason to root themselves and grow in Baton Rouge, she says. In the future, she plans to offer art shows, listening parties and other events at United South’s headquarters. She also wants to be a mentor to the youth and encourage them to dream bigger.